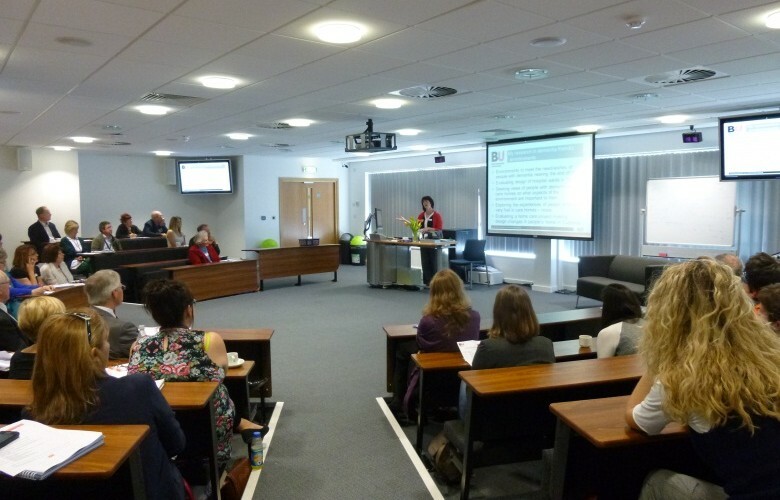 Bournemouth University Dementia Institute (BUDI) held its third open meeting at the university on 14 May, with this year’s theme being dementia friendly environments. The day was well attended by practitioners, family carers, the general public and people with dementia. It started with a lovely buffet lunch sponsored by Alzheimer Research UK, providing an opportunity for delegates to network and to browse the information stands hosted by themselves and BUDI PhD. students. 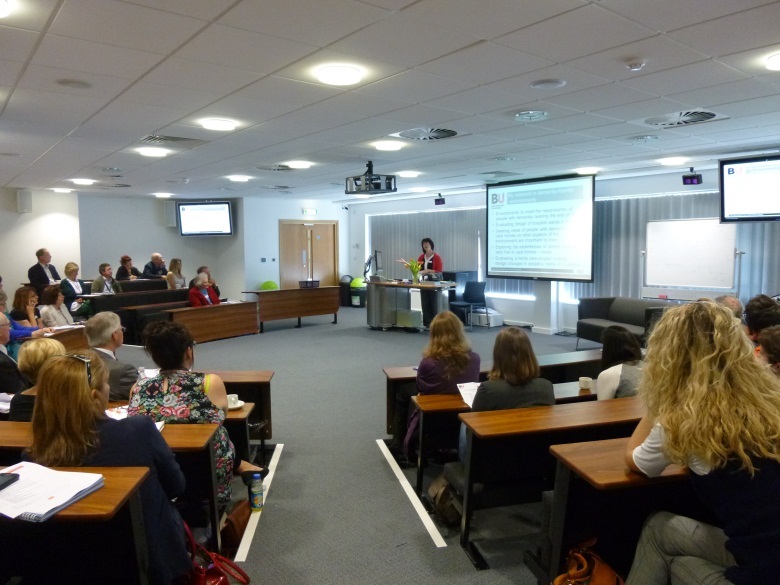 The open meeting was formally opened by Professor Gail Thomas who praised the innovative work being carried out by the BUDI team. Delegates then heard presentations from Dr Fiona Kelly on dementia friendly design, Dr Jan Wiener on the use of eye tracking technology to explore navigation skills and difficulties, Kathrin Büter on using computer technology to support dementia friendly design in hospitals. This session closed with a presentation by architect Niall McLaughlin on his work with communities and older people to design care homes that meet everyone’s needs and are inspirational, therapeutic spaces. The final part of the day involved a question and answer session where delegates and presenters discussed some of the issues raised during the day including how to ensure that the concept of good design filters down to those commissioning, designing and using buildings that people with dementia also use. This successful event is sure to have got people thinking and sharing some of what they heard and we look forward to holding similar events in the future.